Stokke® Xplory® Higher really is better! We have been saying for years but it seems that you all think so too! A very big thank you to everyone who took the time to share their views with us. 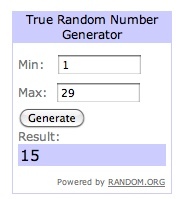 We chose the winner of our exclusive Stokke® Lovers goodie bag using a random number generator at random.org. Kerry, can you email sian.to@stokke.com with your address details? Thankyou so much, i have emailed my address and am really looking forward to receiving my goodie bag.